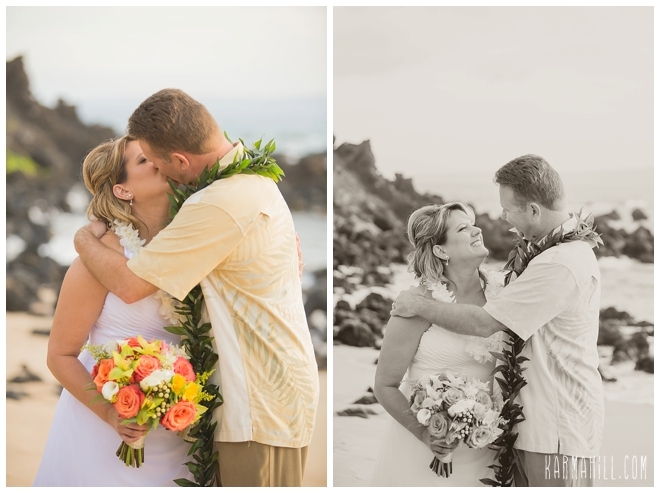 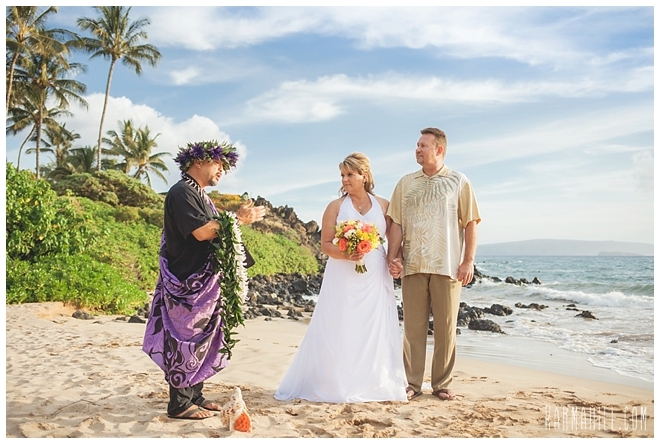 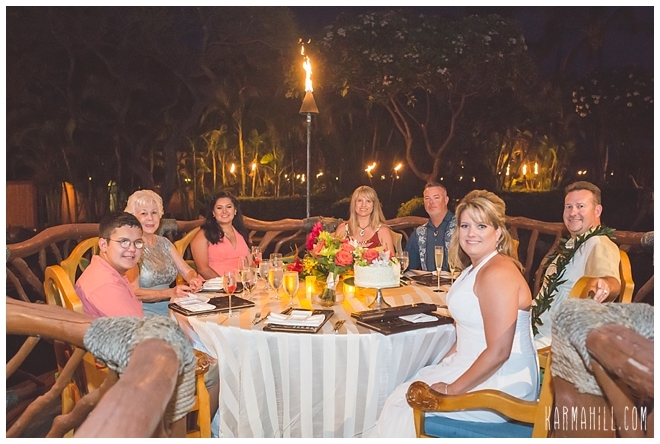 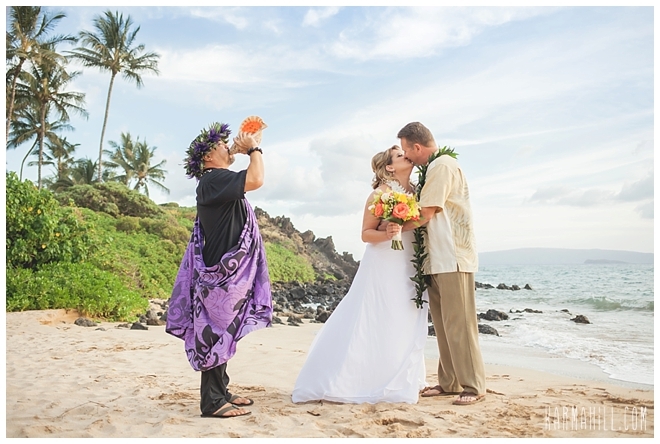 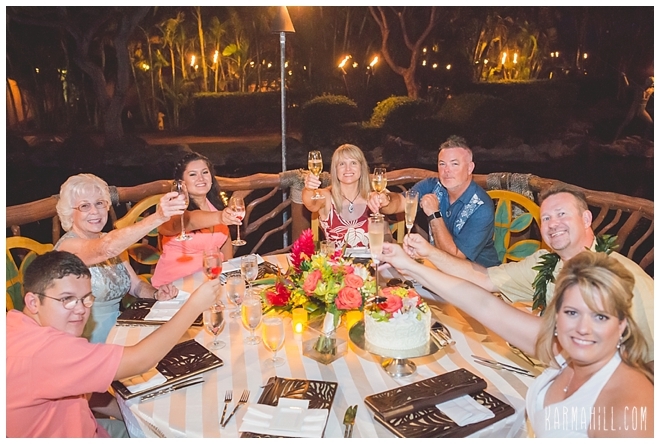 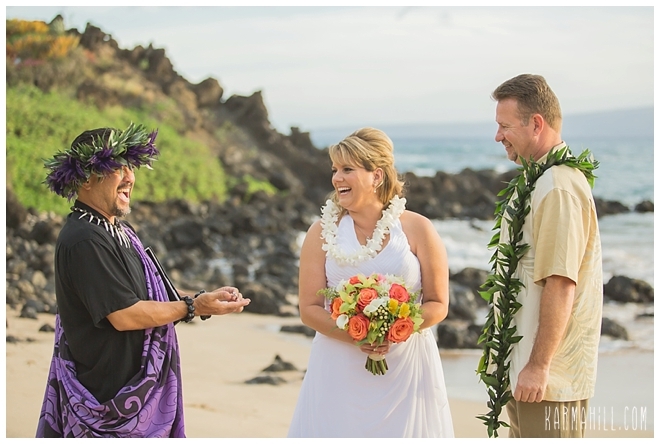 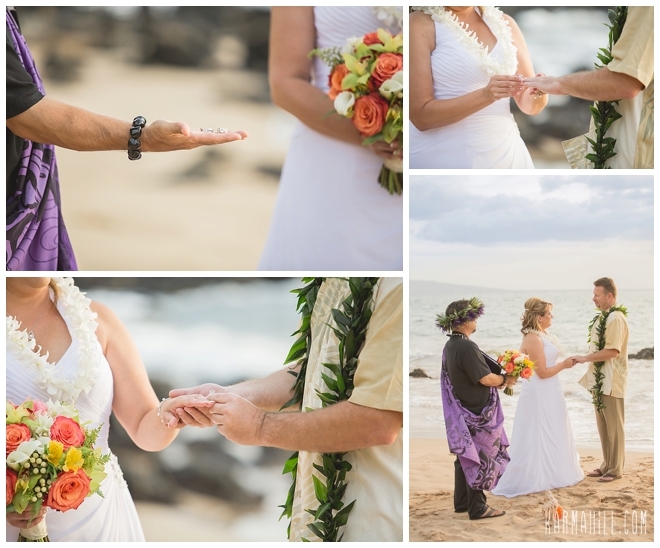 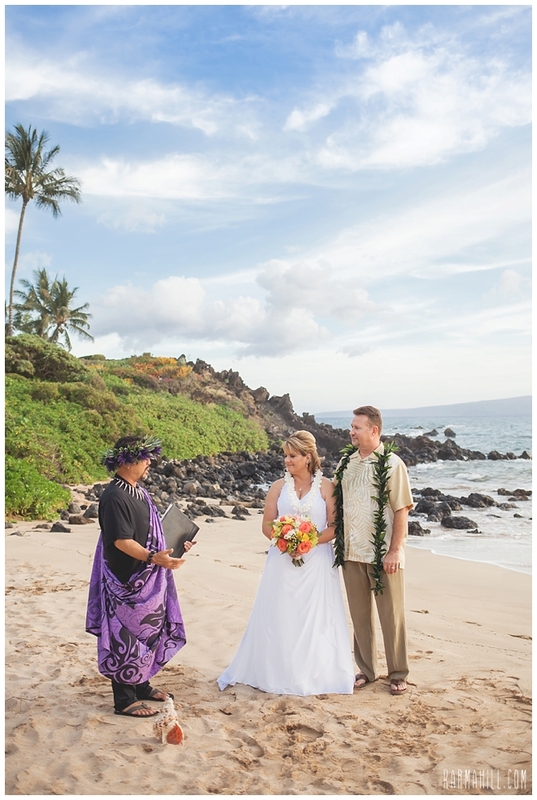 Kelly & Terry's Maui Beach Wedding! 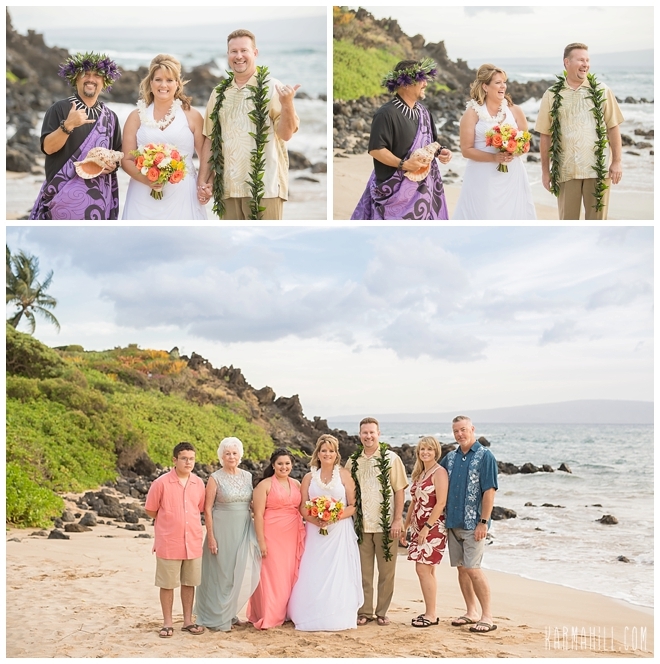 Kelly and Terry were such a sweet laid back couple, it was such a joy to be a part of their wedding and get to meet their lovely family as well! 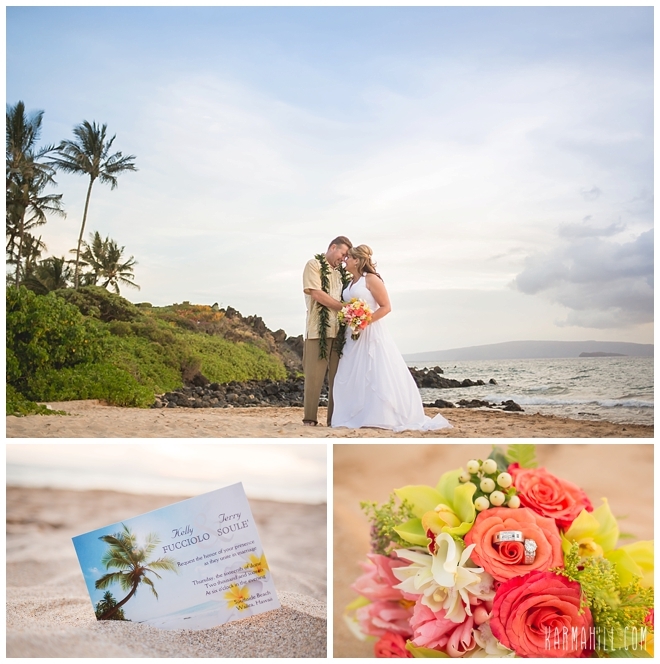 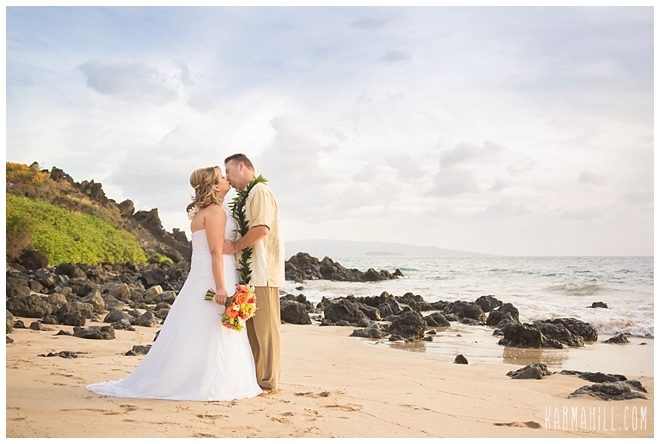 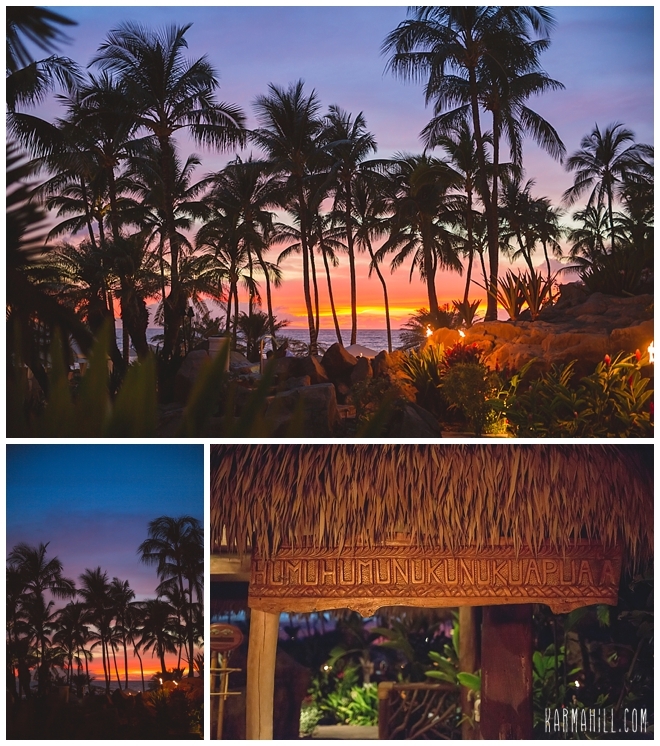 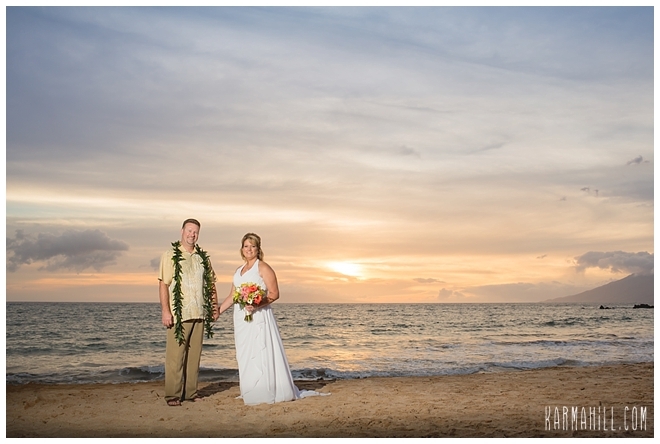 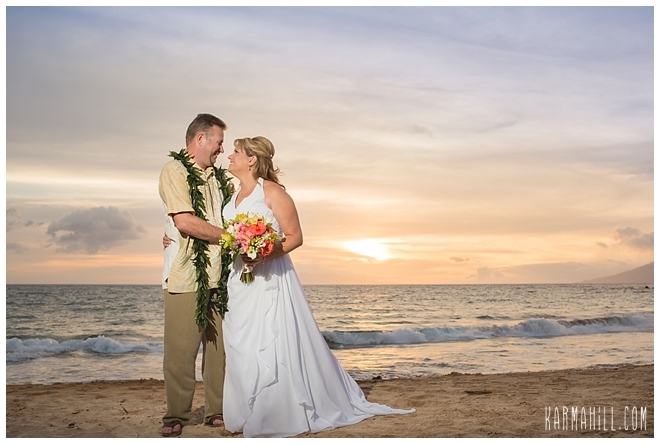 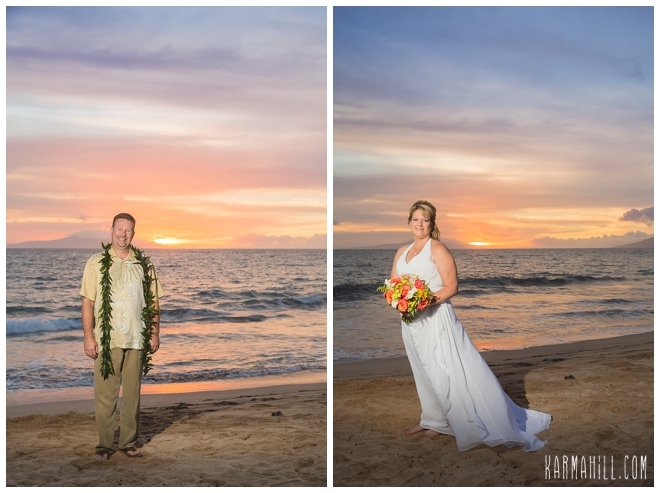 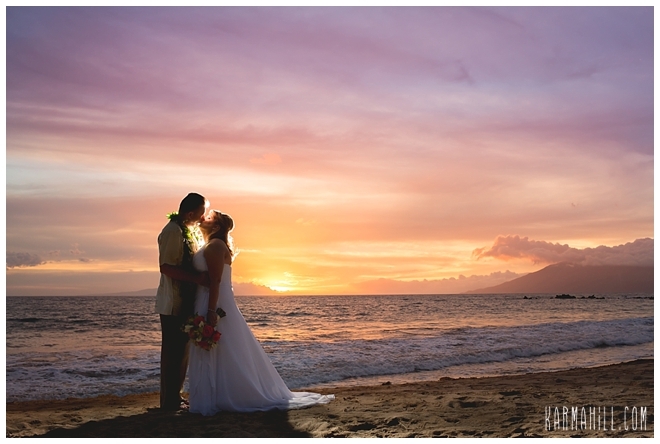 Their Maui Beach Wedding could not have been more perfect with amazing weather and a sunset that just wouldn't quit!! 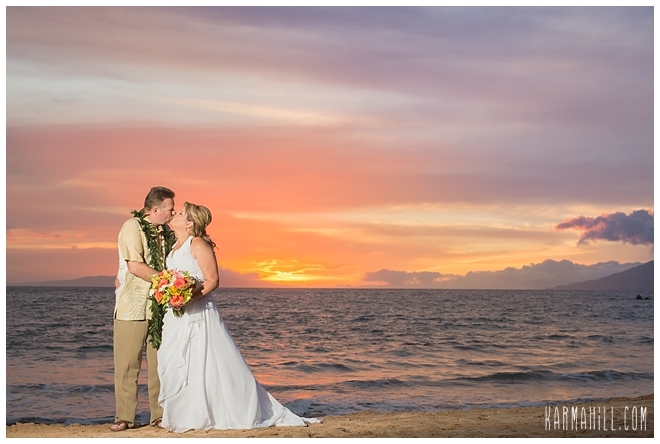 After the ceremony we took some beautiful couples photos to capture their love for each other and then Maui really put on a show with one of the most beautiful sunsets we have seen in a while. 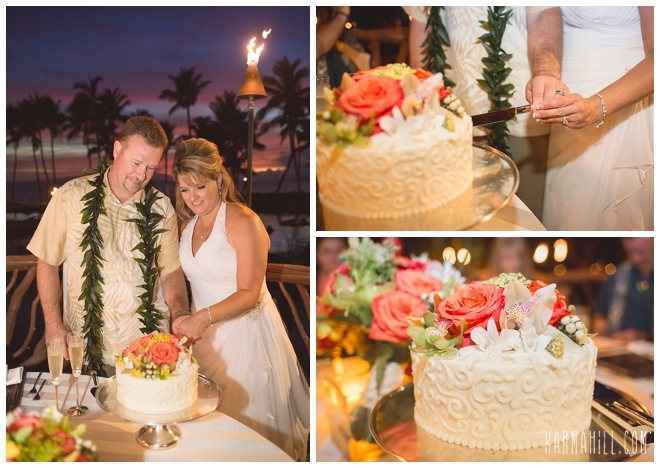 There was still some color left in the sky when we accompanied them to their reception dinner for a few photos of their gorgeous cake and a champagne toast! 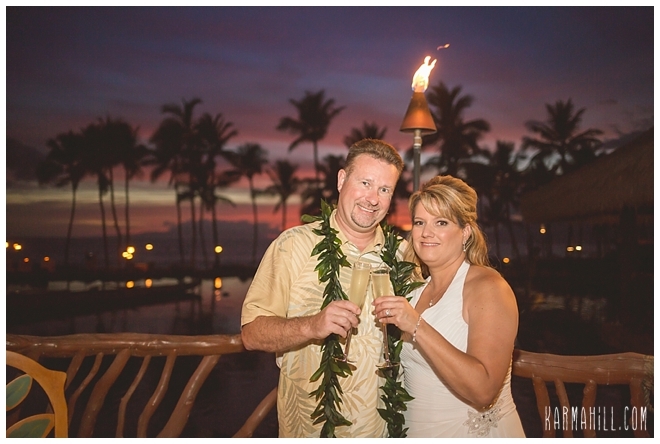 What a great night for a great couple! 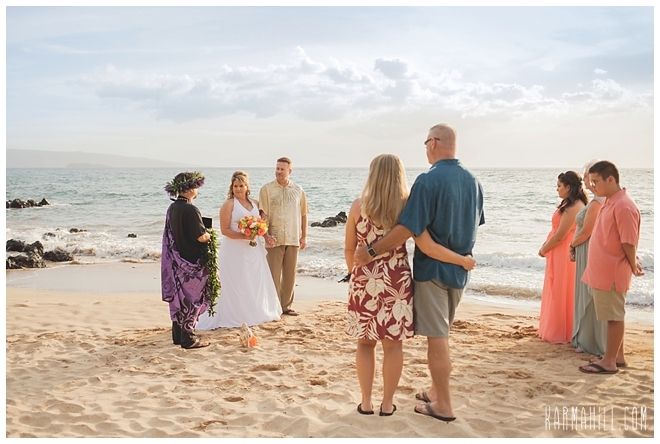 Thank you so much for choosing us to help you coordinate your Maui wedding, we wish you many years of happiness together! 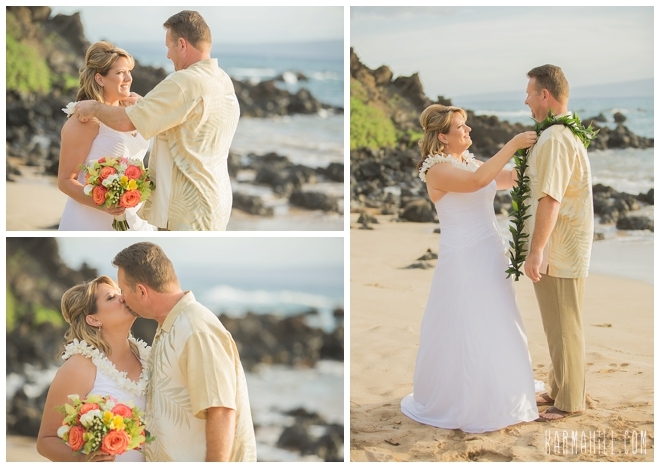 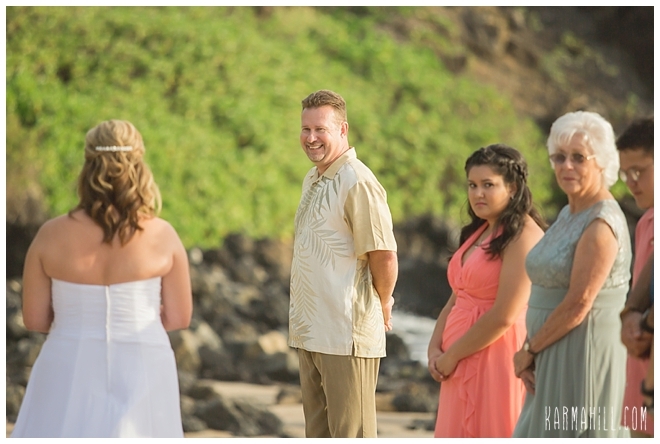 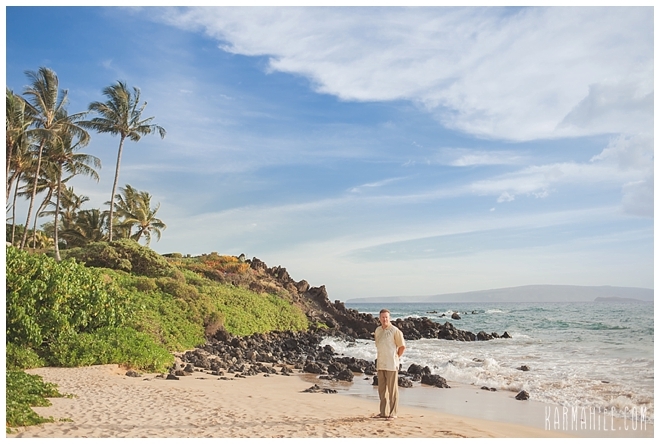 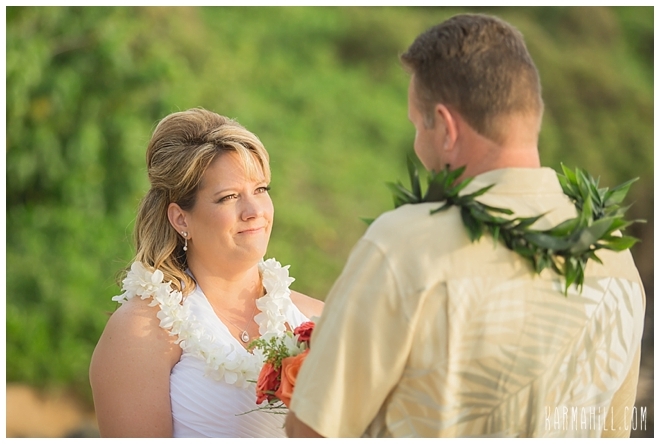 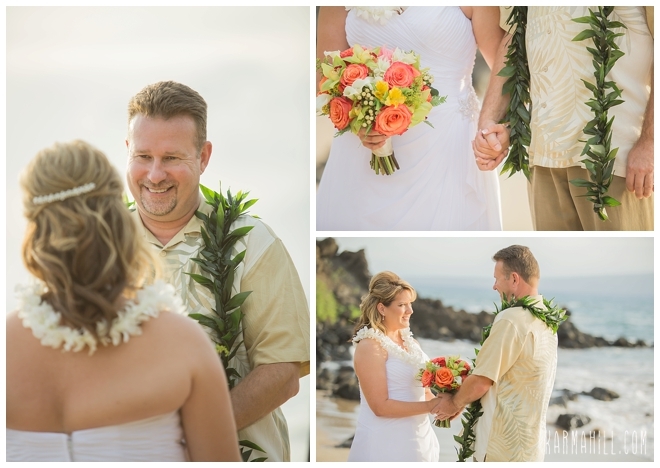 Check out our last Maui beach wedding with Kristen & Todd!